W hile most students worry about their next upcoming exams, it is a different story for senior criminal justice major Sophia Samford, who faces daily challenges of navigating around campus by wheelchair. Samford said the old and steep garage ramps in Kell Hall create difficulties for those using wheelchairs. Like Samford, nutrition student Adam Hygema has problems moving from building to building as most paths present challenges such as stairs or poorly maintained sidewalks. Since last year, Georgia State has been working to bring the interiors of the buildings up to the national code standard since last year, according to the Student Government Association’s (SGA) president Lanier Henson. “They are looking to fix how many elevators there; and where they are, making sure they are up to codes,” Henson said. Hygema said there aren’t any overall problems overall once inside of the buildings. Samford and Hygema also said there are no access ramps near stairs at two places: the entrance to Sparks Hall from Gilmer Street and the one from Library Plaza. Kimberly Dias just entered Georgia State this fall to major in biology. She also pointed out that Langdale Hall has a ramp away from its main entrance, requiring students in wheelchairs to go around the building and then take an elevator. The lack of ramps also create issues for students when getting from one side of the campus to the other, according to Hygema. “Getting from one side of the campus to the other becomes more of an issue. I would love to see more ramps,” he said. Samford said she has had difficulties navigating campus overall. The sidewalks on Gilmer Street from Sparks Hall to the Georgia Bookstore are problematic areas only made more complicated by hills, according to Samford. Hygema also said he has had similar difficulties with the condition of the sidewalks. “[The sidewalks are] absolutely horrible. They are uneven, they are chipping away, they are unleveled. All sidewalks need an overhaul,” he said. Hygema said other areas in need of attention are the sidewalk from G Deck to campus and the bridge from Classroom South to the courtyard area. However, there also have been improvements recently, according to Valerie Bell-Smith, director of communications and community engagement at the Department of Public Works. “Georgia State has made significant pedestrian access improvements within the campus area,” Bell-Smith said. Those areas include Decatur Street and Piedmont Avenue, which recently received streetscape improvements such as wider sidewalks, pedestrian lighting, crosswalks, and traffic light signals. Despite the improvements, some problems inside campus still persist, according to Hygema. “The tile formations that they have going from Classroom South to the courtyard here need to be just leveled out and flattened. The handrails, as well, need to be resurfaced, repainted and remodeled,” he said. Hygema also does not believe there is enough space for wheelchair users in several areas on campus. Henson said he will bring the issues and concerns of students to the attentions of university officials. Sally Fields has been an advocate for the safety of pedestrians since 1996 when she founded the Pedestrians Educating Drivers on Safety (PEDS). “At a conference a few months later, I learned that educating drivers was just the tip of the iceberg. Bad engineering breeds bad driving. Wide roads encourage speeding. They also make it difficult to cross the street,” she wrote on the PEDS website. For Field, the Atlanta sidewalk city ordinance, which requires owners to maintain the sidewalks near their properties, is a big part of the problem. Atlanta is now considering alternative sources for funding, according to Bell-Smith. 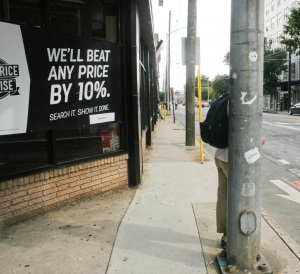 “Recent sidewalk legislation is also under consideration by the Atlanta City Council that may seek alternative funding sources to address the city’s sidewalk needs, but no tax increase has been mentioned with regard to this effort, either,” she said. In September the City of Atlanta proposed a $250 million infrastructure bond directed towards fixing problems with roads, bridges and sidewalks. The money will also go towards the upgrade of critical public buildings and facilities, according to the BuckheadView. The city does not plan to raise taxes to pay interests on bonds, according to Bell-Smith. 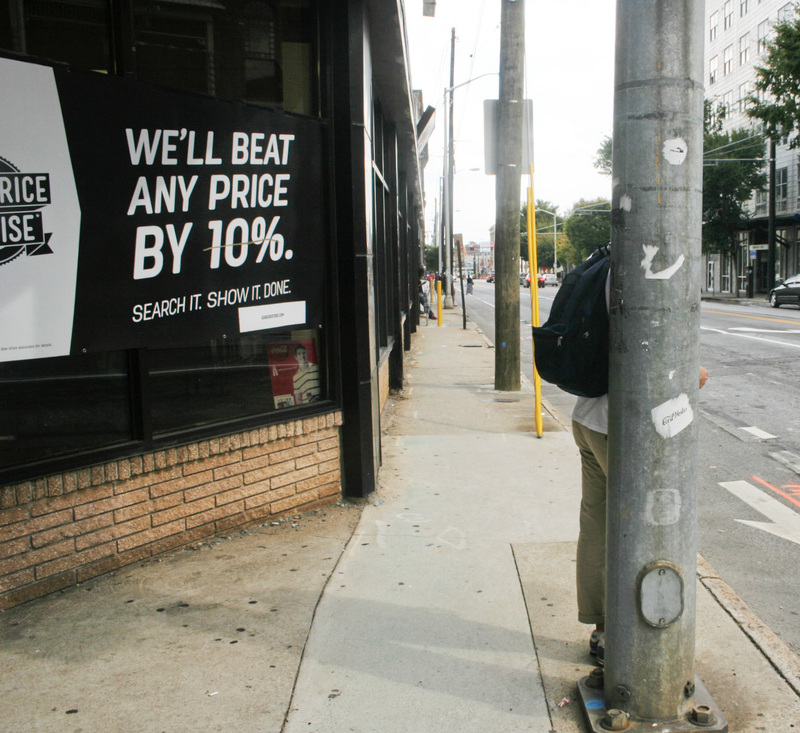 These savings can come from areas such as the sale of Underground Atlanta, according to Fields. The referendum will be up for the public vote on March 17, 2015. Before March, the city council will vote on legislation this December and public information meetings will then be held in January, according to the City of Atlanta’s website. The bond will allow the city to adapt to regulations from the Americans with Disabilities Act (ADA).